New York, 5 October 2017 – Boys and girls living in countries affected by armed conflict have been victims of widespread violations in 2016, as documented in the Secretary-General’s Annual Report on Children and Armed Conflict (A/72/361) released today and covering the period from January to December 2016. The alarming scale and severity of violations against children in 2016 – including shocking levels of killing and maiming, recruitment and use and denial of humanitarian access – is a serious concern for the Secretary-General. 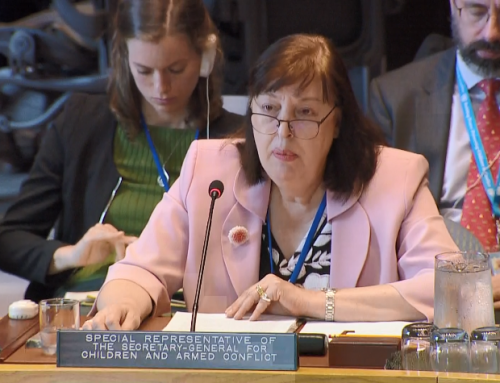 “The tragic fate of child victims of conflict cannot and must not leave us unmoved; a child killed, recruited as a soldier, injured in an attack or prevented from going school due to a conflict is already one too many,” the Special Representative of the Secretary-General for Children and Armed Conflict, Ms. Virginia Gamba, said. Children from countries such as Afghanistan, the Democratic Republic of the Congo, Iraq, Somalia, South Sudan, Syria and Yemen, suffer an unacceptable level of violations by parties to conflict, with at least 4,000 verified violations committed by Government Forces and over 11,500 by non-State armed groups in the 20 country situations covered in the report. In Syria alone, the number of children recruited and used during the reporting period more than doubled compared to 2015, with 851 verified cases. 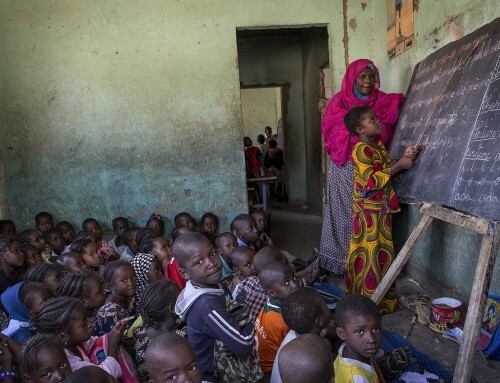 In Somalia, this number reached 1,915 children recruited and used. Afghanistan recorded the highest number of verified child casualties since the UN started documentation of civilian casualties in 2009, with 3,512 children killed or maimed in 2016, an increase of 24% compare to the previous year. Abhorrent tactics used by armed groups like Al-Shabaab, Boko Haram, ISIL and the Taliban, have included sexual violence and the use of children as human bombs. In Nigeria, the majority of children casualties resulted from the use of children as human bombs and deaths by suicide attacks. “The level of violations against children is completely unacceptable and merely indicative of the scale of suffering of children as access constraints limit our ability to have the full picture,” Ms. Gamba said. “Such abuses have a dramatic impact, not only on the lives of children, but also on the social fabric of society in affected countries and on global peace and security,” she added. The denial of humanitarian access by armed groups and Government forces was a disturbing trend in the report, with devastating consequences for children. Attacks on schools and hospitals have also been widely documented in 2016, occurring in almost all countries on the children and armed conflict agenda and depriving thousands of children of their right to education. In Yemen, a total of at least 1,340 children were killed or maimed. The same happened in Syria to at least 1,299 children. Detention of children by government forces or armed groups has also been widespread during the reporting period including in Afghanistan, the Democratic Republic of the Congo, Iraq, Israel and State of Palestine, Libya, Nigeria and Somalia. The report emphasized that children should be treated primarily as victims, not as perpetrators, and that international juvenile justice standards should apply. Abductions, included for the second year as a trigger for listing in the annexes of the Annual Report, also showed an increase in documented incidents. In Central African Republic, reported cases almost doubled compared to 2015, with 98 children abducted. In the Democratic Republic of the Congo, a total of 193 children were abducted, leading to the listing of three new non-state armed groups. Although new parties are listed, including in Afghanistan, DRC, Iraq, Syria and Yemen, there was also progress to report. UN engagement lead to several positive developments in 2016, including the delisting of two parties, in the Democratic Republic of the Congo and in the Philippines. Moreover, the signature of the Peace Agreement in Colombia, including a special agreement on the release and reintegration of children, resulted in a decrease of documented violations against children. The signature of two new Actions Plans, with the Coordination des Mouvements de l’Azawad (CMA) in Mali and the Sudan People’s Liberation Movement-North (SPLM-N) in Sudan also confirmed the benefits of continuing dialogue with non-State armed groups. In relation to Yemen, the United Nations was informed of measures taken by the Coalition in 2016 to reduce the impact of conflict on children including through their rules of engagement and the establishment of a joint incident assessment team mandated to review all incidents involving civilian casualties and identify corrective actions. At the time of preparation of this report, Saudi Arabia has created a child protection unit at the coalition headquarters. In addition to documenting the grave violations committed against children in 2016, the report highlights country-specific developments and concerns, to outline both progress made and ongoing issues that need to be addressed. This approach should lead to enhanced engagement with parties in the report, aiming to sign and implement Action Plans. This will increase protection for children, accountability for perpetrators and allow for greater focus on the prevention of the six grave violations. Among concerning trends, the report highlights the denial of humanitarian access, deprivation of liberty resulting from increased security screenings, including for displaced populations, and the use of militias and international coalitions, which demonstrates the need for accountability and the application of agreed safeguards to protect civilian populations, in particular children. 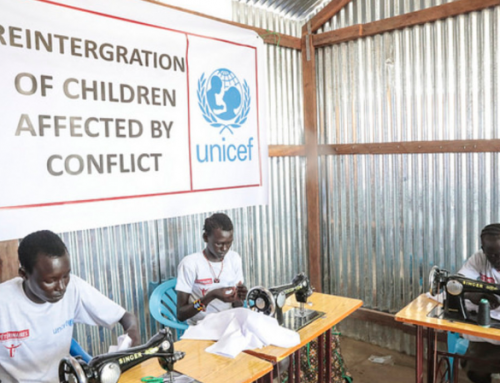 Building on best practices, child protection capacities and reintegration mechanisms should be provided with adequate resources, as a key element to peace and security in war-affected regions, the report highlights. “In some countries, like Afghanistan, Central African Republic, Nigeria, Somalia or Syria, young children have only experienced war and violence. It is our collective responsibility not to let these children down,” Ms. Gamba added. Partnerships with sub-regional organizations were highlighted in the report as multipliers to reduce violations affecting children and strengthening of child protection capacities on the ground.